Yummy!!! 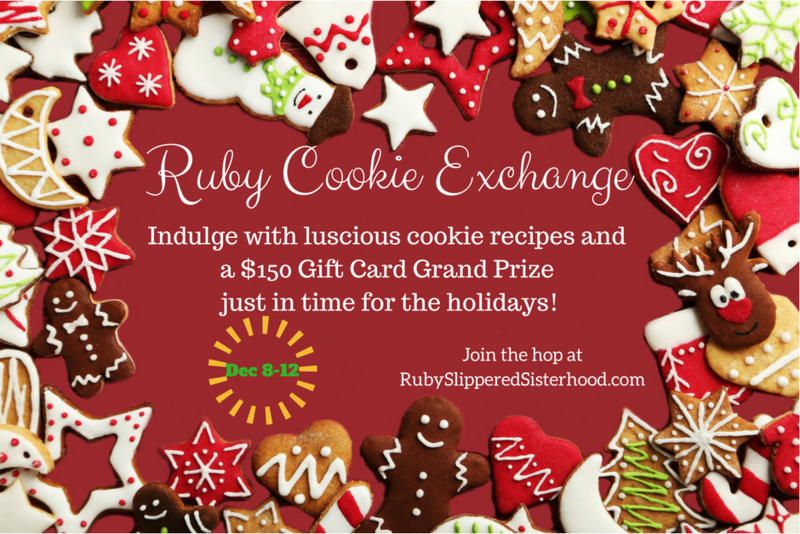 It’s the Holiday Cookie Exchange Hop!!! If you’re gluten-free, or are expecting holiday guests who are, Gluten Free on a Shoestring has got a fabulous post on LOTS of different kinds of gluten-free Christmas cookies. Plus they have great everyday cookbooks those of us who are GF can’t live without! The recipe follows below, but first I’ve got a couple other treats to offer!! 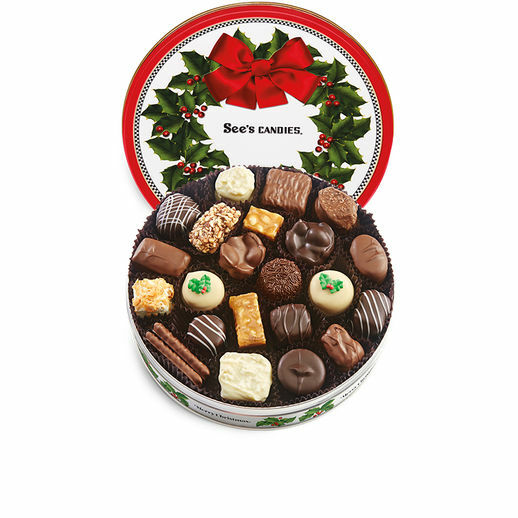 One lucky commenter here on my blog will win THEIR CHOICE of either a copy of Gluten-Free on a Shoestring’s latest book, Gluten-Free Small Bites OR a super cute and tasty Wreath Keepsake Tin full of See’s Chocolates!! 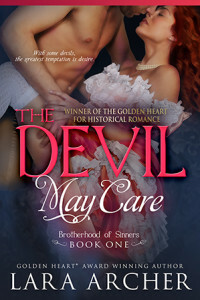 And I’ve got one more offer to make: I’m giving away as many as FIVE print copies of my most recent book, THE DEVIL MAY CARE to the first commenters who say they’re willing to read it and leave an honest review on Amazon by January 25, 2016. Just let me know in the comments if you’re willing! 1 teaspoon xanthan gum (omit if your flour blend already contains it) NOTE: xanthan gum is essential for giving these cookies the right texture!! Preheat your oven to 350°F. 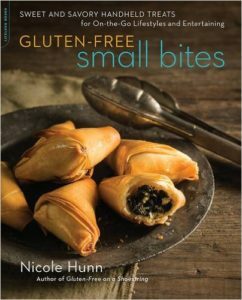 Line rimmed baking sheets with unbleached parchment paper and set aside. In a large bowl, place the flour, xanthan gum, salt, baking soda and granulated sugar, and whisk to combine well. Add the brown sugar, and whisk again to combine, working out any lumps in the brown sugar. Place about 12 ounces of the chocolate chips in a small bowl, add about 1 teaspoon of the dry ingredients, toss to coat the chips and set aside. Create a well in the center of the dry ingredients, and add the butter, eggs and vanilla, mixing to combine after each addition. Add the chips and reserved dry ingredients, and mix until evenly distributed throughout. The cookie dough will be thick but not stiff. Divide the cookie dough into about 24 portions and roll each tightly into a ball about 1 1/2 inches in diameter (and about 50 grams each). Press each of the balls of dough into a disk about 1/2-inch thick and place about 2 inches apart on the prepared baking sheets. As you’re rolling the dough, add a few more chocolate chips to each ball, if desired, and roll them into the dough. Scatter a few chocolate chips on top of each disk of dough, and place the baking sheet in the freezer for 5 minutes, or until the dough is cold. Remove the chilled dough from the freezer and place the baking sheets, one at a time, in the center of the preheated oven. Bake until the cookies are golden brown around the edges, light golden brown all over and set in the center (about 12 minutes). 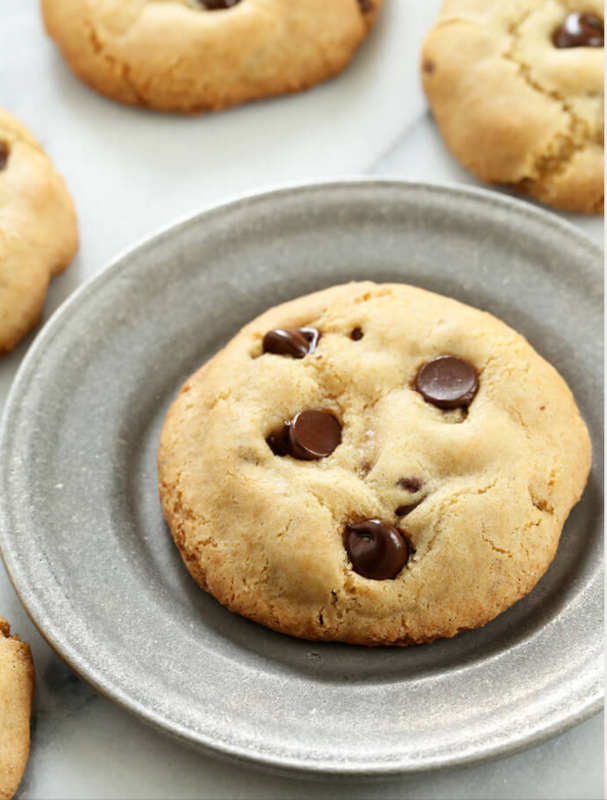 Remove from the oven and allow the cookies to cool on the baking sheet for about 5 minutes or until firm before transferring to a wire rack to cool completely.